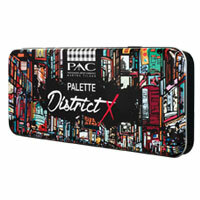 Customize your PAC District X Palette. A dynamic new tool gives you full artistic control over colour! Inspired by the soul of New York. Now you can create your own custom lip, eye and blush Palette. Complete your beauty wardrobe with our makeup collection!